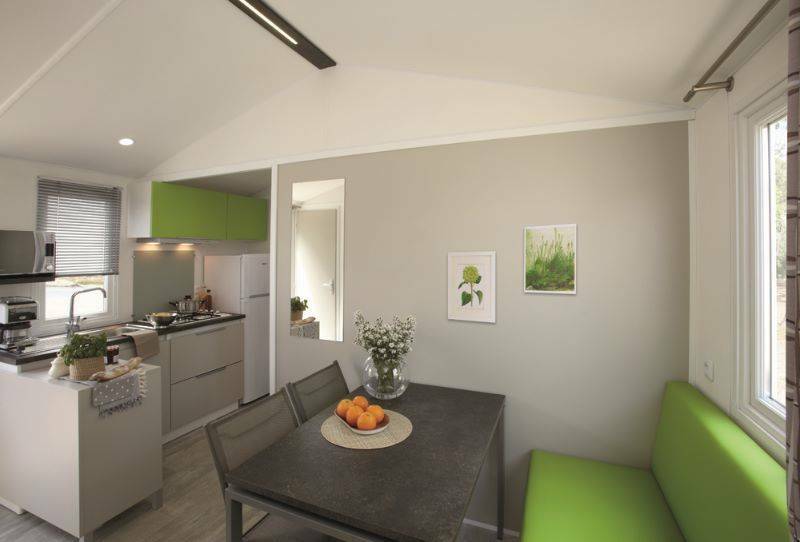 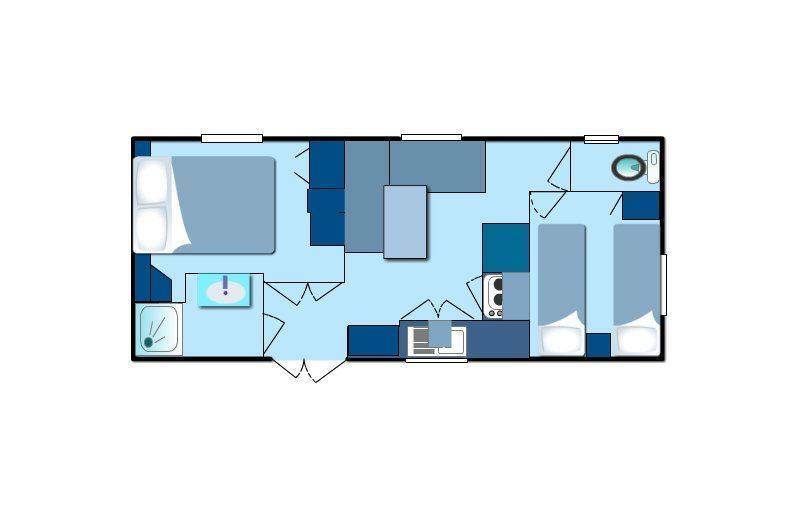 Our delightful 4-person mobile home comfort can accommodate small groups of friends or families. 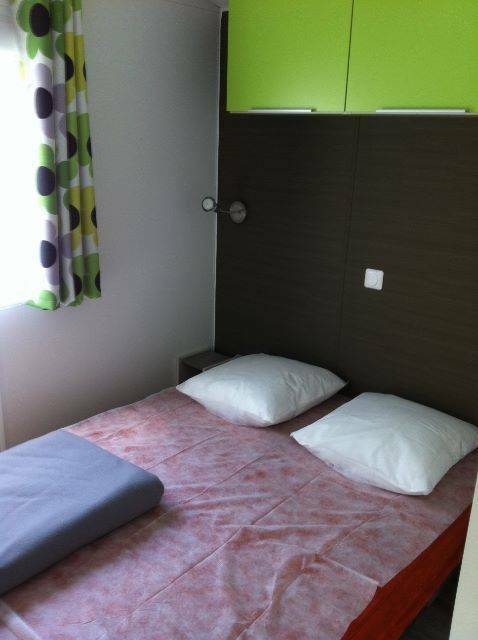 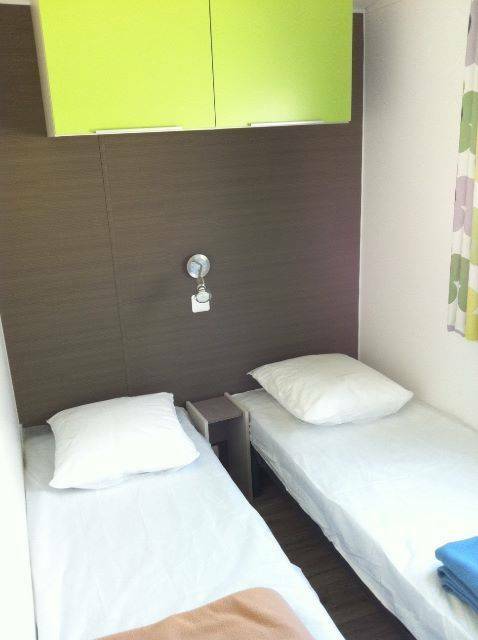 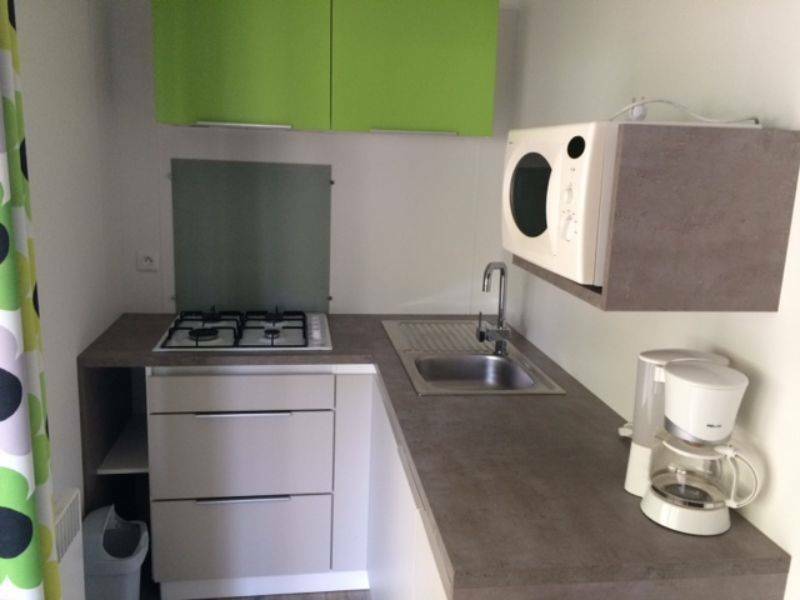 It measures 23m² and has a wooden terrace, 2 separate bedrooms, a bathroom and a toilet. 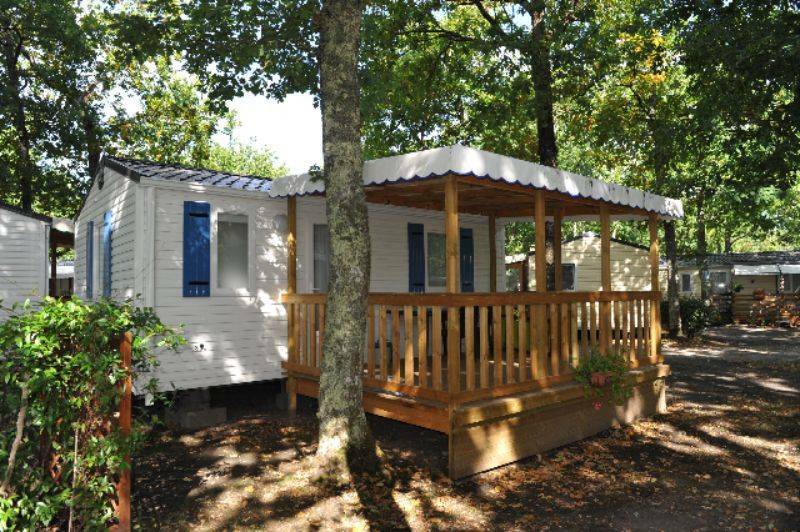 This small haven of comfort is the ideal place to spend a relaxing break in Arcachon Bay.